The NEW reports system requires user registration. Once registered, you will be able to post as many ads as you see fit as well as uploading multiple pictures for each ad. To upload multiple pictures, just create a new post with an original image. Once accepted, go to Edit the post and there will be two more places to add pictures to. Just locate the file (must be GIF, JPG, or PNG format) on your computer and hit Save. The program will automatically format your file. The pictures posted were sent to me by a friend. They were taken in New York City. I do not know the artists name, but I thought these were pretty amazing. 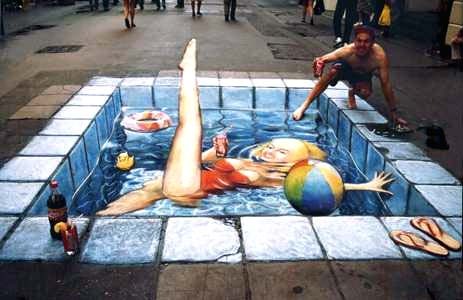 It is chalk art drawn on city side walks.